AWEA has arranged complimentary guestroom wireless internet for all attendees. A limited number of discounted rooms have been arranged for meeting attendees. The discounted rate will be available while group rooms remain until August 5, 2019. Once the discounted rooms are sold out or after August (whichever comes first), the hotel may continue to accept reservations at the discounted rate on a space-available basis; however, they could be at a higher prevailing room rate. With a pristine location in the heart of Washington D.C. neighborhood, just steps away from downtown,the Grand Hyatt hotel ensures that you’re never far from where you’re looking to go. 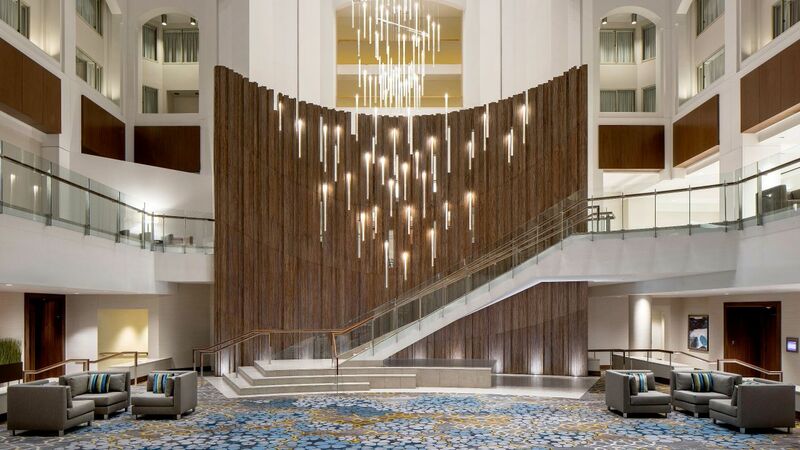 Explore from Grand Hyatt Washington, conveniently connected to the Metro Center train station from our lobby, allowing you to travel the red, orange, silver, and blue lines with ease to the city’s beloved destinations and neighborhoods. See all of D.C.’s top sights from the front doors. The information and pricing listed is provided as a service by AWEA but is subject to change. Click here for more information on the Grand Hyatt Washington . Detailed travel information is available here. Overnight self parking starts at $42 and Valet parking rates vary starting at $60. Contact hotel for specific rates.